Brunswick Eye and Contact Lens Center is happy to introduce the newest member of their eye care team, Dr. Cassandra Higbea. Here at Brunswick Eye and Contact Lens Center, our vision therapy program is divided into two sections: first, orthoptics, which is limited to techniques of training eye muscles for the purpose of straightening eyes that are misaligned and second, visual perceptual processing, which is the set of skills we use to gather visual information from the environment and integrate them with our other senses That is why out of the two areas orthoptics is the most likely to be covered by insurances. 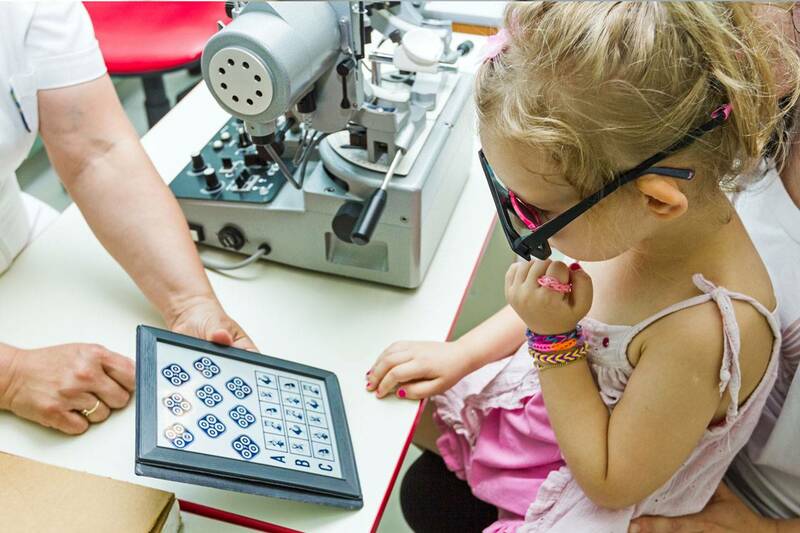 Orthoptics can be very successful and is one type of vision training, but the term orthoptics is not the same as vision therapy. Vision therapy describes a wider range of techniques used to treat a larger variety of vision problems. Also, whereas the emphasis in orthoptics is on eye muscles and eye alignment, the goal of vision therapy is to optimize the entire visual system, including the eyes and areas of the brain that control vision, visual perception and other vision-related functions. By treating the entire visual system vision therapy aims to change reflexive behaviors to produce a lasting cure. Please keep in mind that as therapy progresses the amount and type of therapy required may change. The doctor will keep you informed of this at the progress evaluations. If you have any questions and concerns please feel free to contact us. While vision therapy is not inexpensive it should be seen as an investment in your child’s future. We do realize however that the cost of vision therapy may be a financial burden for some families, we do offer care credit at our facility and a variety of payment plans. Please do not hesitate to discuss this with us. Call 419-782-EYES (3937) for information on scheduling and fees.